After an initial release on Steam and Nintendo Switch last year, Solarsail Games’ Smoke and Sacrifice has now made its way over to PS4 and Xbox One with a number of promised tweaks and updates. This dark fantasy tale divides its time between being a crafting and old-school adventuring game, but the important question is whether it can emerge from the shadows of its forebears — and forge something more than the sum of its parts. You play as Sachi, an ordinary farmer in a hunter-gatherer steampunk settlement, who at the start of the game is forced to sacrifice her son, Lio, in the blood-thirsty ‘Rite of the First Born’. The acolytes of Sachi’s village have followed this grim ceremony since records began, in deference to the ‘Sun Tree’ — a worshipped power source which fuels their machines and helps the crops to grow. Skipping forwards seven years from these events, we catch up with an older but still mourning Sachi, advised by a mysterious traveller that their society is not as it seems, and that her son may still be alive in the cavernous lands beneath the Sun Tree’s temple. 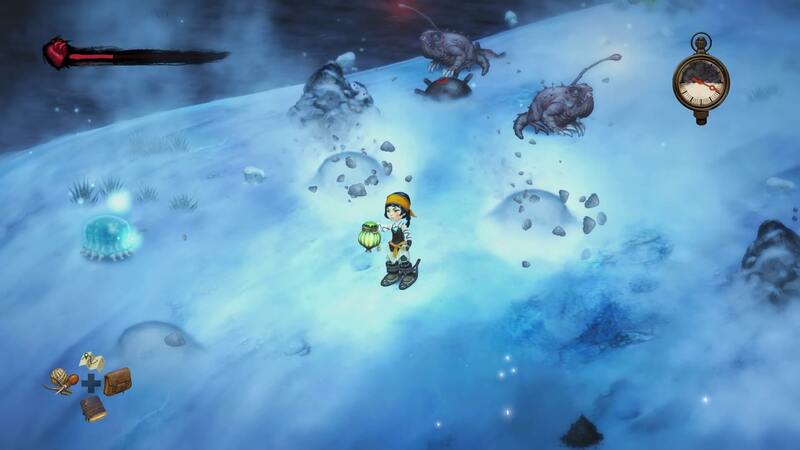 When the village’s defence system fails against marauding Pugbears (the first of many deliriously designed enemies in the game), Sachi takes advantage of the chaos to find a way into the hidden world below the surface: so begins your adventure to unravel the secrets of the Sun Tree, and hopefully find your child in the process. ‍Searching for your son sets off a series of events which will threaten the foundations of the Sun Tree’s society. 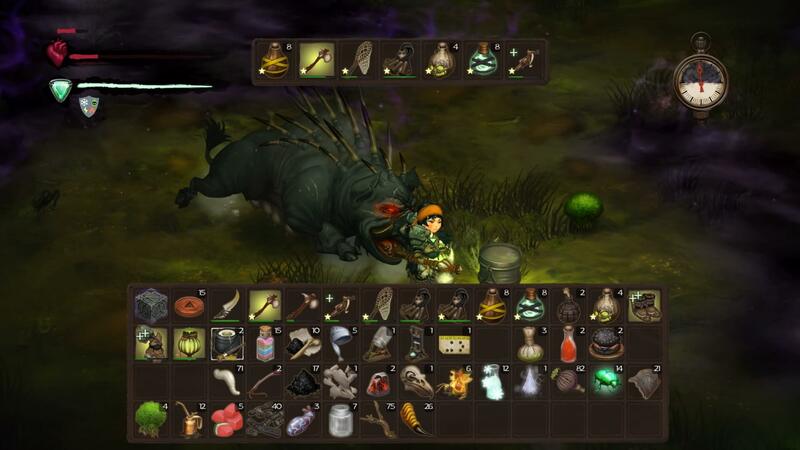 Smoke and Sacrifice is game which has a heart beating only for inventory management. The world is chock full of plants and animals to be harvested for their resources, to craft new and improved gear to best help you along. The multitude of crafting items to gather are satisfyingly varied, from the naturalistic (flowers and fruits) to the ghoulish (tentacles and skulls). The important distinction to make — and one that I need to get out in front of here, given the superficial similarity to Don’t Starve — is that this is not really a survival game. Your items themselves will degrade through use if not repaired, and unconsumed food will likewise begin to rot in your inventory across the in-game days, but Sachi herself does not have any permanently active stats which you need to maintain. New crafting recipes can be found throughout the world or exchanged with NPCs, which are reason enough to complete their simple fetch quests. Gameplay is split into a day and night cycle, which is where the titular smoke comes in. When dusk settles, this poisonous purple miasma fills the world and must be kept at bay using lanterns and your glowing amulet. 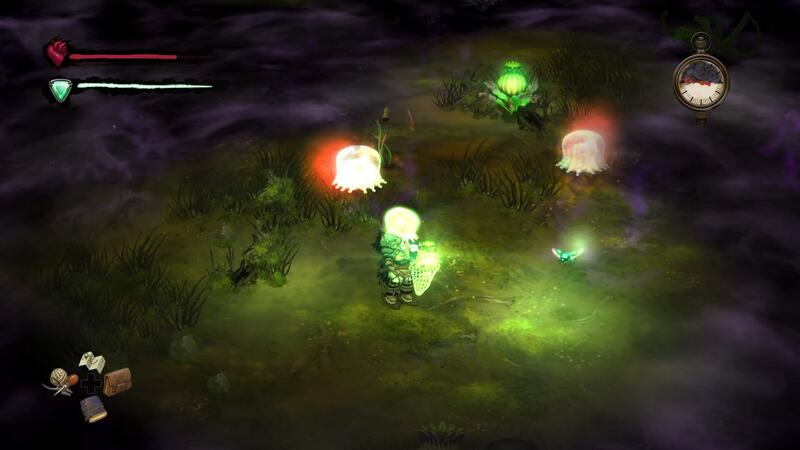 New enemies spawn and increase in aggression during this time, and whilst you can opt to find a safe, illuminated area to wait out the night, certain creatures and plants are nocturnal, and so their resources can only be gathered during this period. ‍Craft snowshoes to allow Sachi across the frozen tundra. There’s a strong influence from The Legend of Zelda series, with new boots and costumes to be crafted to make your way through different environments. These are exactly as you’d expect from a fantasy adventure game: grass, snow, lava, and industrial areas requiring the right footwear to cross them. It’s a shame then that these different areas don’t impact the game in meaningful ways. Grasslands and the metal floors of industrial areas make up the majority of the map, which aren’t anything too special. I would have liked to see more terrain hazards incorporated, as seen in the snow areas — frozen proximity mines forcing you to keep an eye on the terrain ahead. Smoke and Sacrifice puts forward these typical fantasy world settings, but without the unique elements you’d want to justify their inclusion. Other than your footwear, there are no other items or unique environmental features impacting Sachi’s ability to survive after crossing these borders, or how they might impact the lifespan of your items, which feels like a missed opportunity. With that in mind, these hard-won clothing items end up just being keys to enter a new room, without any other effects which would make them a more interesting way to fill an inventory slot. 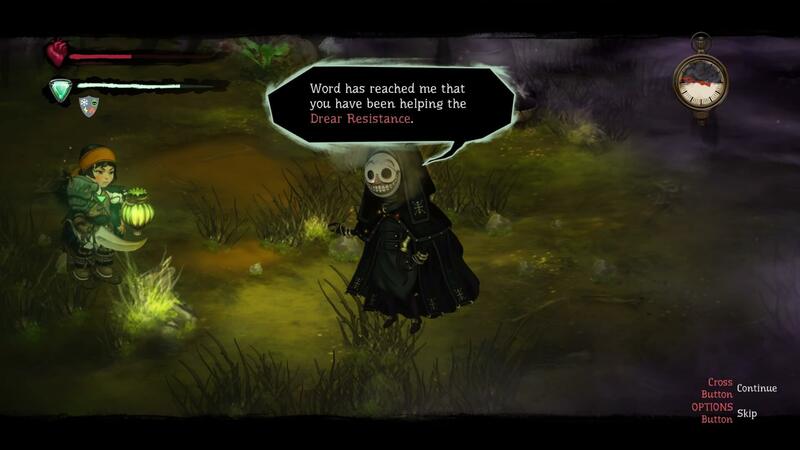 ‍Equip different masks to avoid combat as often as possible. What impressed me in Smoke and Sacrifice was the interactivity of the world, whether it is responding to the player or to itself. Almost anything you can see on-screen can be interacted with one way or another, and you’ll begin to mentally note areas to return to once you’ve discovered new tools to help you extract the sweet, sweet goodies from sealed containers. 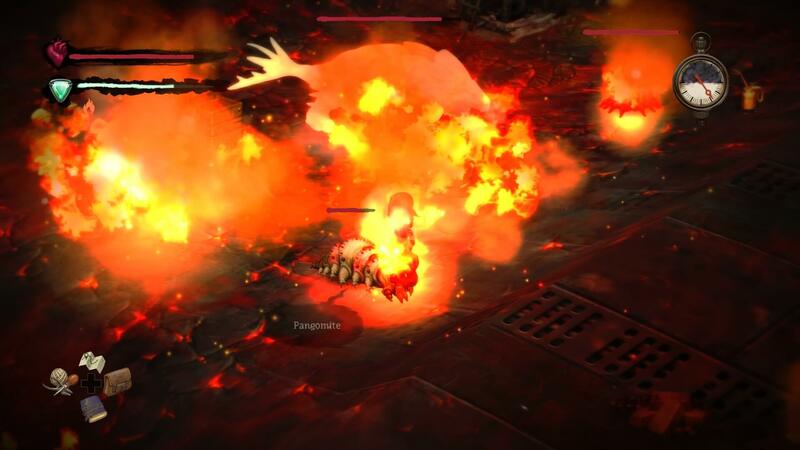 From the jellyfish-like Polyps (eww) to the lumbering Stokers (the aforementioned Pugbears, this time around heavily geared for their work in the forgepits), the creatures in the game will fight each other or even breed when left to their own devices. It’s a clever step away from the usual system in games: the hive mind behaviour of disparate creatures all honing in on your location together — even if it can be confusing to receive a bounty from an NPC for defeating a fearsome enemy, without having done any of the heavy lifting yourself. There’s agorgeously detailed style and design at work here; human characters have a paper doll movement and aesthetic, and each new beast you encounter manages to up the stakes in a game of bizarre crossbreed roulette. This two-dimensional set dressing is unfortunately an indirect cause of a number of gameplay issues. The isometric presentation angles means you’ll head behind a building and lose sight of what’s behind there, as while the game engine valiantly tries to remember to render that object see-through for you, it’s not alway the case. Sometimes this even resulted in the screen freezing and all assets flickering in and out when there were too many moving parts on the screen at the same time — or even just using a souped-up weapon of your own. Engaging in combat is a sluggish and unresponsive old-school affair, especially in the early game where you’ll have to strike, retreat, and strike again multiple times to whittle away the health bar of even the smallest enemy. The view doesn’t help either, as the use of flat sprites in a three-dimensional setting obscures your position in relation to other entities. Hitboxes aren’t overly precise as long as you’re on the same ‘line’ as your target, but your ability to capitalise on that is sent packing by the looseness of how your placement appears to you. On more than one occasion I invested a number of resources and power-ups into battling a ferocious Porkupine (my favourite design of the game, a gigantic spine-shooting boar), only to have it disappear when a dodged charge attack took them off-screen and away from me. A minute or two later they would respawn — along with their full lifebar. It’s a bug like this which can turn the resource gathering into a chore, as I once again had to trek back to find an ingredient indigenous to a specific terrain in order to replenish my spent items. During my playthrough of Smoke and Sacrifice, in the first couple of areas I generally settled into a relaxing cycle of gathering, crafting, and story progression. It’s a quiet and pleasant experience, and you’re rarely forced into overly action-heavy or time-sensitive situations, as long as you have a few fireflies to keep the purple smoke at bay. Despite the core gathering and crafting systems, along with the day/night cycle, being so well implemented, other elements such as combat — which you’ll spend just as much time focusing on in the later game — don’t hold up. ‍Ah yes, the tried and tested “consume as many health items as you can from the pause screen a split-second before a nasty death” strategy. Smoke and Sacrifice has a simple but intriguing storyline, and its critique of the roles religion and economy play in social control are well applied in this fantastical setting. Whereas the early game delighted with its emphasis on the use of crafting resources and interacting with new characters, the later sections of the game suffered as I couldn’t unsee the stunted combat, graphical shortcomings, and a by-the-numbers approach to its environments. It’s an agreeable, often charming game, but lacks the consistency in the design and the polish in the execution to achieve the potential of Solarsail Games’ vision.